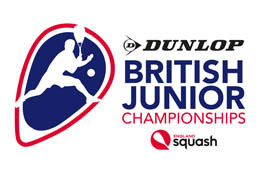 The University of Nottingham Sport, Nottingham Squash Rackets Club, Duffield Squash and Racquetball Club and England Squash are excited to welcome you to the Dunlop British Junior Championships 2018. All information regarding the event can be found in the British Junior Championships 2018 Information Pack. This is a Gold Level sanctioned event and aimed at the best players from around the country. Categories will include Boys and Girls Under 11, 13, 15, 17 & 19 categories. The main draws are limited to 32 players per category. Age categories will be split across 3 venues. Nottingham Squash Club: there is a large dedicated car park as well as parking available on nearby streets. Duffield Squash and Racketball Club: there is a large car park. University of Nottingham David Ross Sports Village: From Monday-Friday, they operate pay and display from 9am to 4.15pm. Please note, at the sports centre, guests can also get one two hour free ticket at the pay and display machine which is located on the corner of the David Ross Sports Village. On weekends, there are no charges and restrictions so guests can park in any marked parking bay on campus. Please note, on Friday, if all the bays immediately around the David Ross Sports Village are filled up, guests can park on the grass area on the main drive leading up to the David Ross Sports Village and also in any marked car park on the map attached but they will still need to show a valid pay and display ticket. The university has an agreement with their security team not to ticket if there is a valid ticket during busy peak periods.